Cutting corners is something I'm a pro at. If there's an easier or cheaper way to do something and still get the same results, I'm all about it. I know most of us are looking to cut a few extra calories since it's prime bathing suit season, so if you could prepare a delicious meal and cut corners to make it healthier and cheaper, you would, right? Doing something as simple as substituting ground turkey for ground beef in recipes cuts the calorie and fat content down considerably. Plus it also saves you some money! 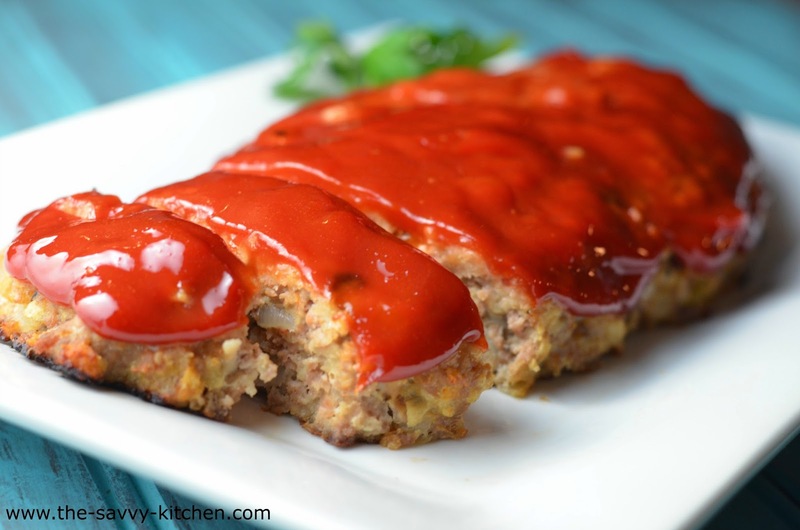 This turkey meatloaf is extremely moist and is full of flavor. 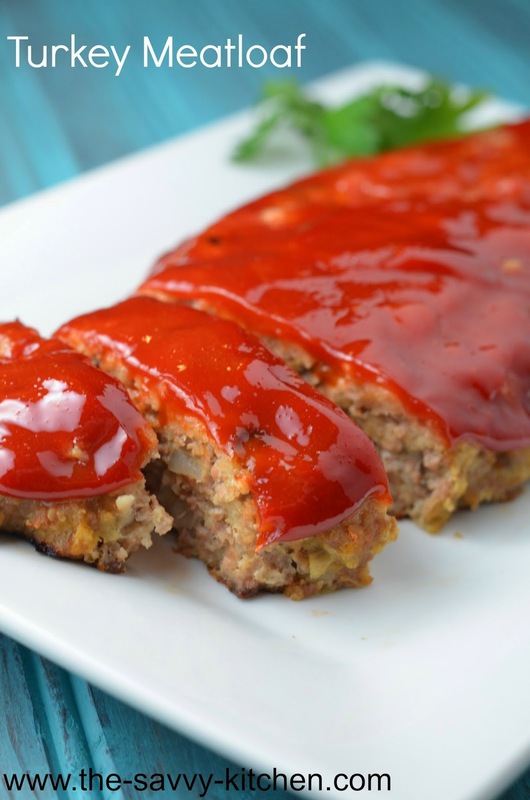 The ketchup on top gets caramelized in the oven and gives the meatloaf a slightly sweet crust. Any leftovers you have make a great sandwich the next day, too. I actually made sure there were some leftovers just for that reason. Enjoy! In a large bowl, add turkey, salt, pepper, red pepper flakes, Worcestershire sauce, Parmesan cheese, egg, oregano, panko and cooled onion mixture. Mix just so combined. Spray an aluminum foil-lined baking sheet with cooking spray. 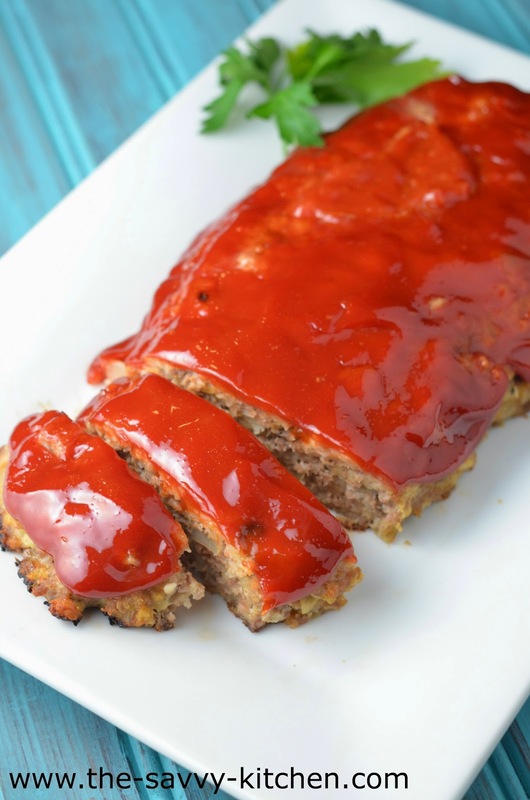 Shape the meatloaf into a log shape in the middle of the baking sheet. Spread ketchup over top. Cook for 50 minutes, or until the inside is no longer pink.